longline*.txt files contain some text and in some files the text is inserted in an environment as indicated in the filename. The actual text contains characters such as _ and the lstlisting and verbatim environments are evaluated as a rescue. The problem is that the paragraph is not broken down into lines in the verbatim and lstlisting environment. This example for the listings package can help you. Not the answer you're looking for? Browse other questions tagged listings line-breaking paragraphs verbatim or ask your own question. 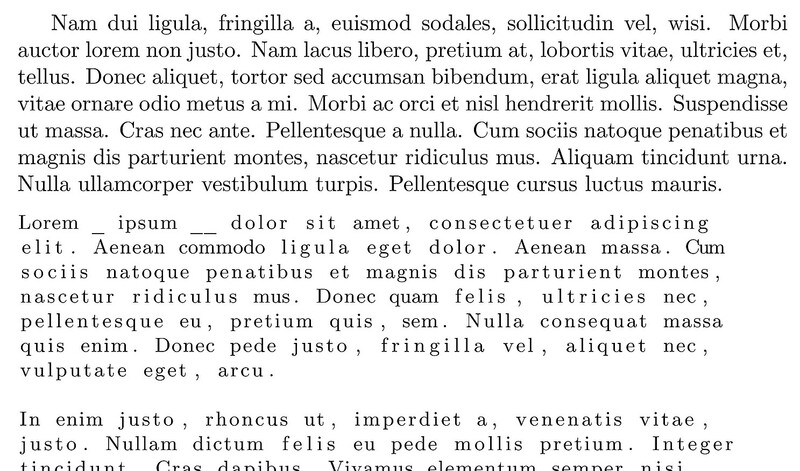 How can I replicate verbatim's letter spacing in listings?